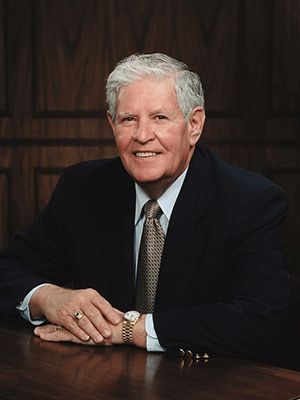 Kenneth M. Garrison, who passed away in 2008, was president and CEO of Tri Star Freight Systems, Inc., in Houston, Texas. Over his lifetime, Garrison amassed more than 35 years of day-to-day experience in the military and commercial household goods and forwarding industries. He began his industry career in 1974, as a manager of Mover’s Port Service. He was soon promoted to vice president of that company and later presided over Four Winds, Inc., where he was responsible for a dozen offices nationwide. In 1987, Garrison founded Tri Star with three employees; soon the company opened additional offices on the eastern seaboard and in El Paso, Texas. Today, Tri Star employs over 75 people and represents more than 135 preferred transportation providers. Garrison expected excellence from himself as well as his employees. Having once served in the U.S. Army, he felt a strong affinity with service members and strove to provide them with the best service possible. Garrison sat on several committees for IAM, then HHGFAA, and he was a ready point of reference for countless carriers who asked his advice on issues facing the industry. People were drawn by his honesty and integrity, his business knowledge and expertise that served his customers well over the years. Kenneth Garrison was a friend and mentor to many people he touched both professionally and personally.